Soon after becoming secretary of state, George P. Shultz noted that " unless you do something about it, in the job of secretary of state you will spend 100 percent of your time on the Middle East." "Every Secretary of State becomes a Middle East expert very rapidly, whether he wants to or not," he also stated. These observations remain valid today, when Warren Christopher has virtually become Secretary of State for the Middle East. Baker had a similar experience. 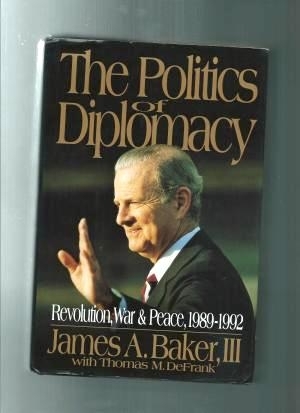 Page one of his memoirs tells of Saddam Husayn's invasion of Kuwait, the single most dangerous moment of Baker's three-years-plus as secretary of state. Of the book's thirty-four chapters, fully fifteen concentrate on the Middle East, primarily the Kuwait war and the Arab-Israeli peace process. Famously discreet when in office, Baker unbuttons a bit in the retelling. He captures the atmosphere of his endless travels (he went to sleep on the eve of his Geneva meeting with Tariq 'Aziz, just before the outbreak of hostilities, as the "chants from antiwar protesters echoed quietly up to our block of rooms") and the vagaries of dealing with Middle Eastern leaders (Asad treated his complaints about Syrian terrorism "the way one might react to an eccentric uncle at family gatherings-as an unavoidable nuisance to be endured politely"). Baker also provides some new information; for example, in March 1991, he raised to Yitzhak Shamir the possibility of stationing U.S. troops on the Golan Heights.